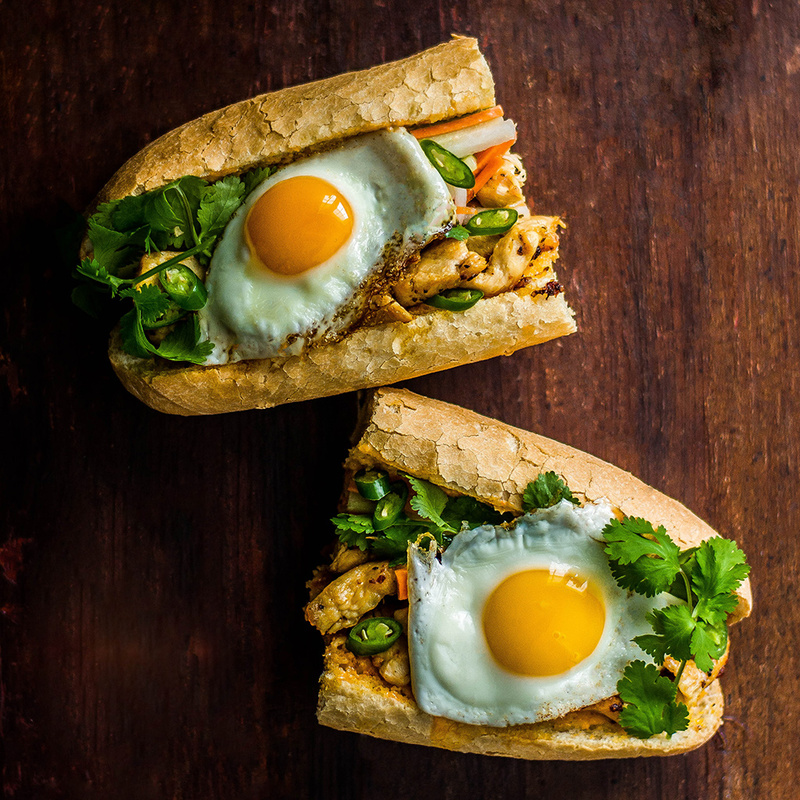 The perfection of a runny yolk can improve absolutely any dish. 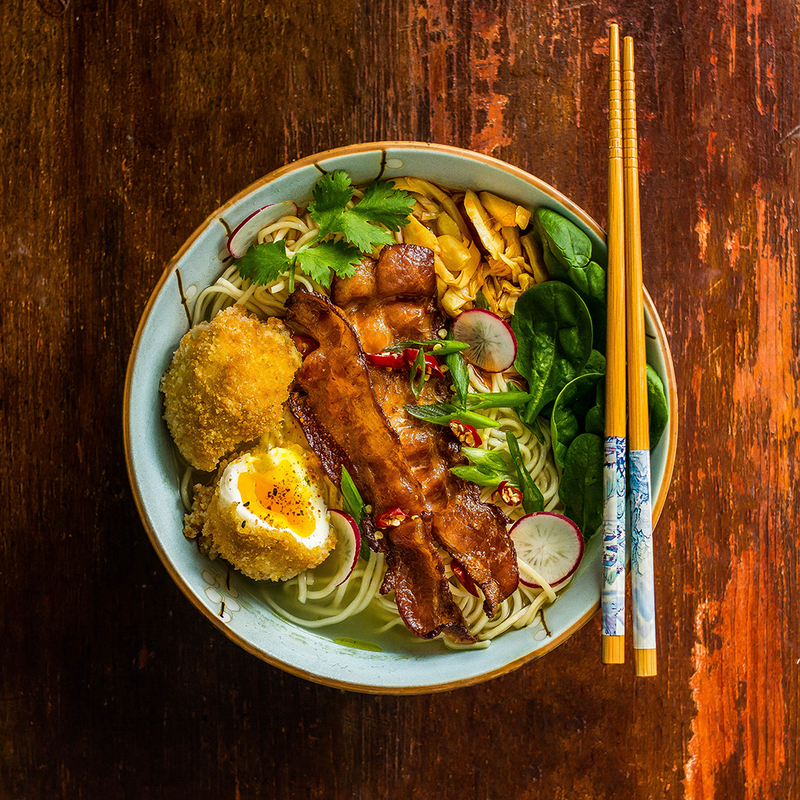 Click through to see some of our favorte ways to add an egg to everything from burgers to ramen. A few years ago, I was eating my way around New York City and found myself at Buvette for brunch. Their croque madame was heaven on a plate. This is my take on their classic dish. Creamy, rich sauce, salty prosciutto and runny fried eggs—the perfect breakfast sandwich. There is something entirely soul satisfying about eating breakfast for dinner. You get to brunch like it's Sunday morning on a Tuesday evening, without the post-breakfast weekend workload. And of all the dishes in brunch world, Eggs Benedict is King of Breakfast Land. 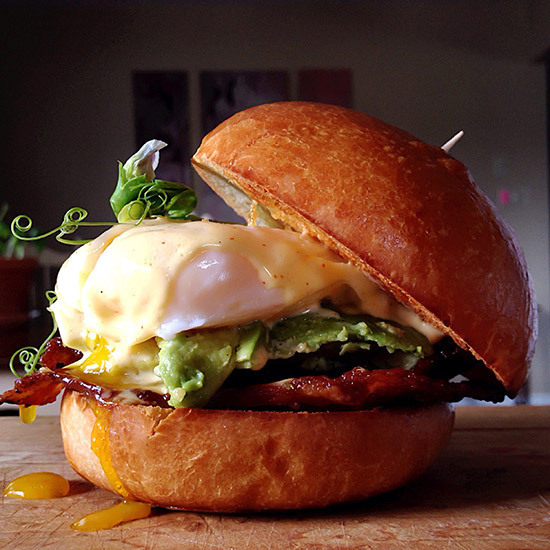 So go ahead and burger-ize that Benny and feel great about your midweek dinner choices. The best eats are handheld, messy, saucy moments of bliss. 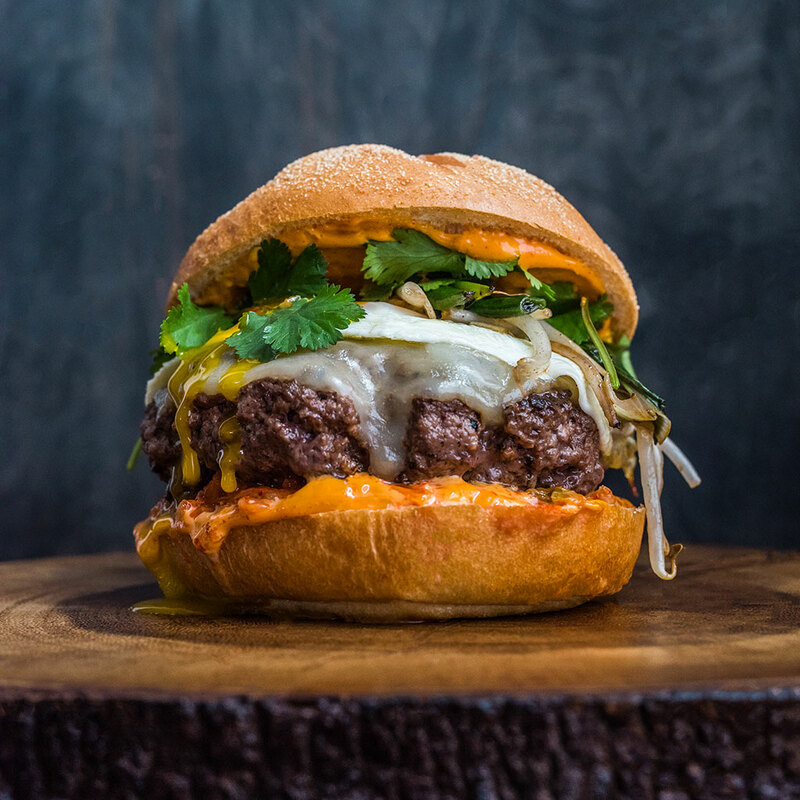 This burger is one such moment. Kimchi, charred green onions and bean sprouts, with a spicy & sweet gochujang mayo and a fried egg. Completely delicious. Whatever happened last night, no matter how tired you may be, this will turn you right. Spicy, warm, comforting and reasonably healthful, these huevos rancheros are the perfect pick-me-up.